Oatmeal milk baths combine the soothing properties of milk and oatmeal, both of which are associated with reducing skin redness and irritation. Oatmeal is especially known for its skin moisturizing benefits, while milk helps to quench the skin and relieve redness. These benefits can be especially advantageous for those with skin rashes. Creating an oatmeal milk bath requires simple household ingredients. You can add natural oils and scents to the bath for an aromatherapy boost. Drop the oatmeal into the blender. 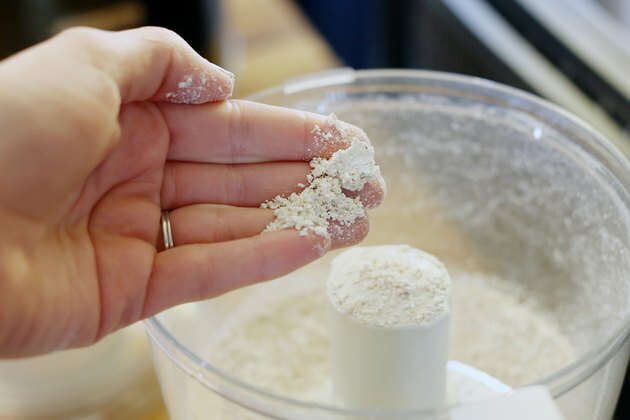 Use the pulverize, or highest blending setting, function on your blender. Cease blending when the oatmeal has a powdery texture. 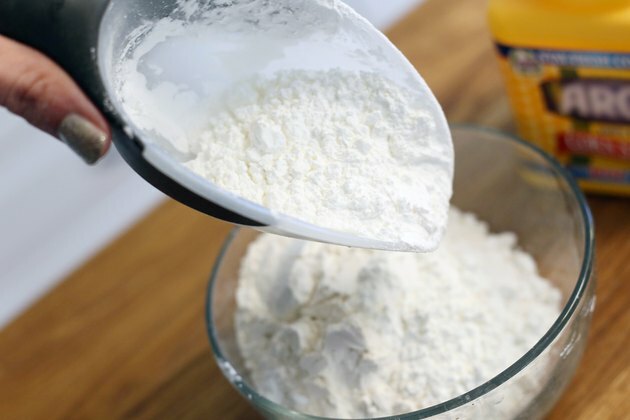 Add the cornstarch, baking soda and milk powder to your mixture, and blend well. The mixture is well-blended when it has a milky appearance and feels smooth to the touch. 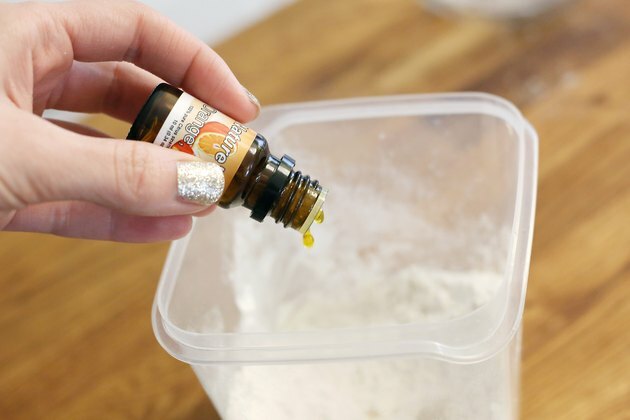 Incorporate three to six drops of an essential oil if desired, such as lavender, peppermint, almond, rose or other oil to the mixture to add a pleasing aroma. 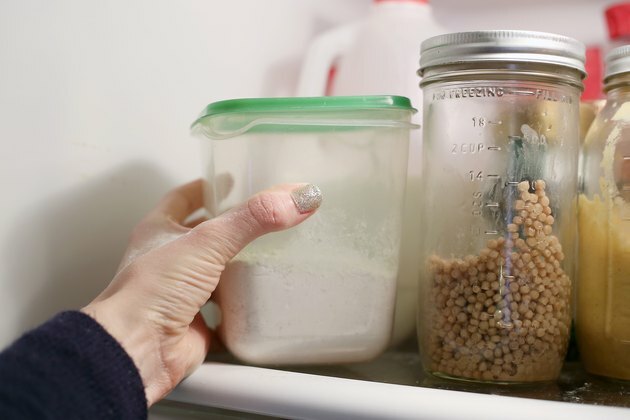 Store the mixture in an airtight plastic container if you're not using it immediately. Keep it in the refrigerator until you are ready to use it. Fill your bathtub with water to the desired temperature -- not too warm or hot, because this can cause skin irritation or dryness. 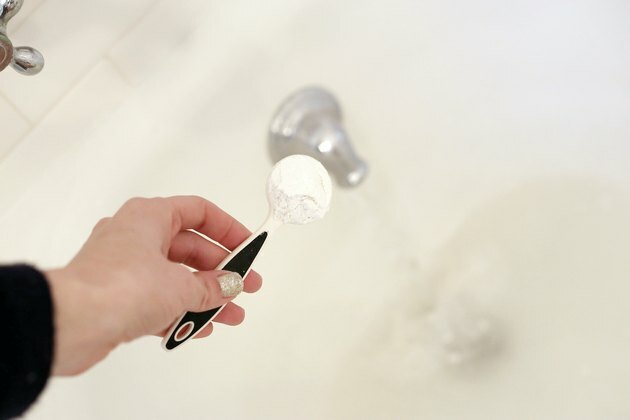 Add 2 to 3 tablespoons of your prepared oatmeal milk bath to the water. Swirl the mixture around to mix it into the bath. 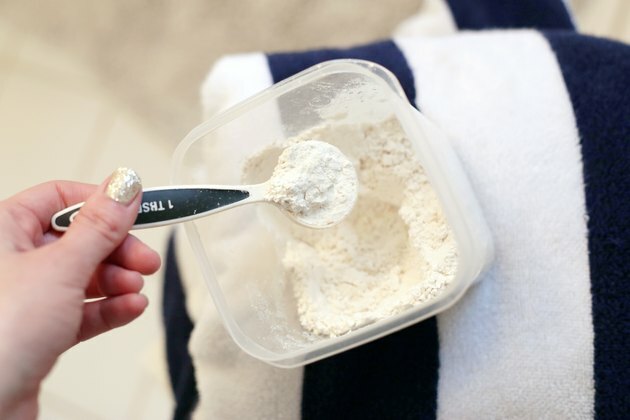 If you want exfoliating properties, add sea salt to your oatmeal milk bath mixture. Other possible additions include rose petals or dried rosemary. Are There Benefits to Taking a Milk Bath? Can Creatine Be Taken in Milk?